▶ SoldThis listing was sold on May 25, 2018 for the price shown here. Charming 2 BR brick bungalow w/hardwood floors in the living room. Freshly painted interior. Brand New Furnace & Air Conditioner installed in early 2018. Newer water heater. New Roof. New Gutters. Unique coffered ceiling in LR. Updated kitchen & bathroom, w/newer appliances. Marble floor in kitchen. Partially finished basement w/carpeted walk-in closet. Toilet, shower & sink on LL. Off the back of the house, is a large 3 season room w/ceiling fans, windows all around, bathroom, sink, built in bar height table, electric cooktop & microwave. Wiring in place for a hot tub & vent fan. This room adds a great addition to the living space. It would not take much to make this an All Season Room. Deck off of the back of house. Fabulous BBQ Gas Grill on the back deck. Shed/Workspace w/electricity is a great space for storage, gardening or working on home projects. 2nd BR could also be a dining room. Perfect cozy home. Easy access to schools, highways, and plenty of shopping. 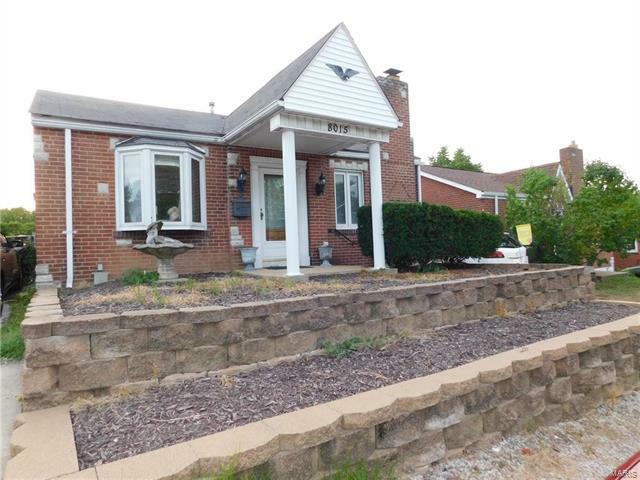 Move in Ready..
Laclede Station Road, Turn Left onto Heege Rd, Turn Right onto Genesta St.